Ive been taking Evening Primrose Oil 500 mg -GLA 45 mg for a couple of years now per my naturopaths recommendation and its been wonderful! Great for keeping my cycles regular! Supplying a source of fat to your diet may not be your first thought of what a dietary supplement can provide for you. However‚ when it comes to supplements‚ there is not only such a wide variety of products available‚ but also a surprising amount of takeaways from some of the most surprising sources. While words like 'fatty acid' may seem in your mind to tow the line of helpful versus a problem‚ the phrase "omega 6" may bring up completely different thoughts. For a source of omega 6 fatty acids from a natural‚ plant based source‚ you may want to try Evening Primrose Oil 500 mg - GLA 45 mg by Vital Nutrients. 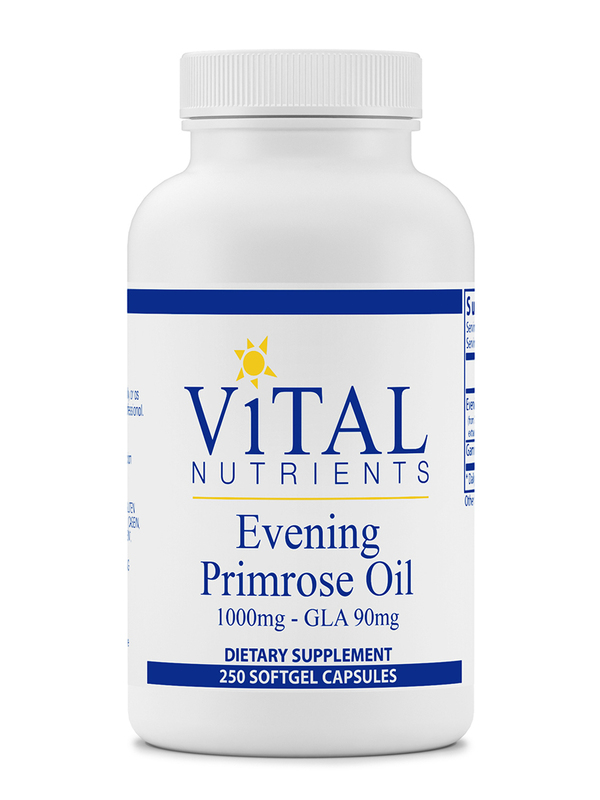 Vital Primrose Oil comes from a natural extract of the seed oil from the evening primrose plant‚ which is native to North America. It has recently being used more frequently for possible herbal medicinal purposes. It does contain a large amount of omega 6 fatty acids‚ which are seen as essential for premium health. 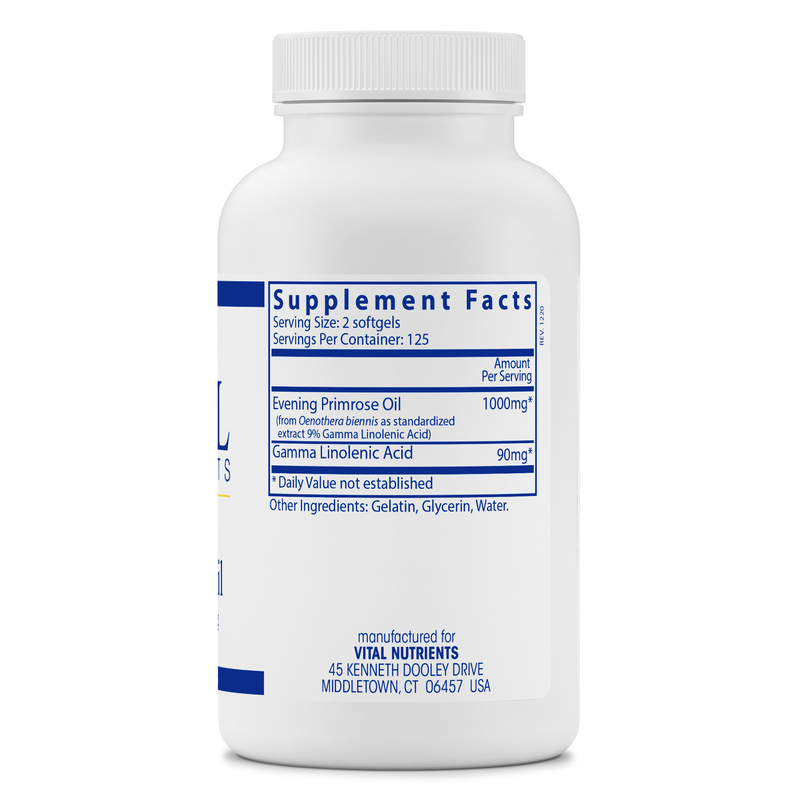 The omega 6 contained in the seed oil is gamma linolenic acid (GLA)‚ which is helpful for body metabolism but is not able to be created by the body. Thus‚ being supplemented becomes necessary for your diet. GLA holds several possible benefits‚ including supporting joints‚ nerves‚ and cartilage in the body. 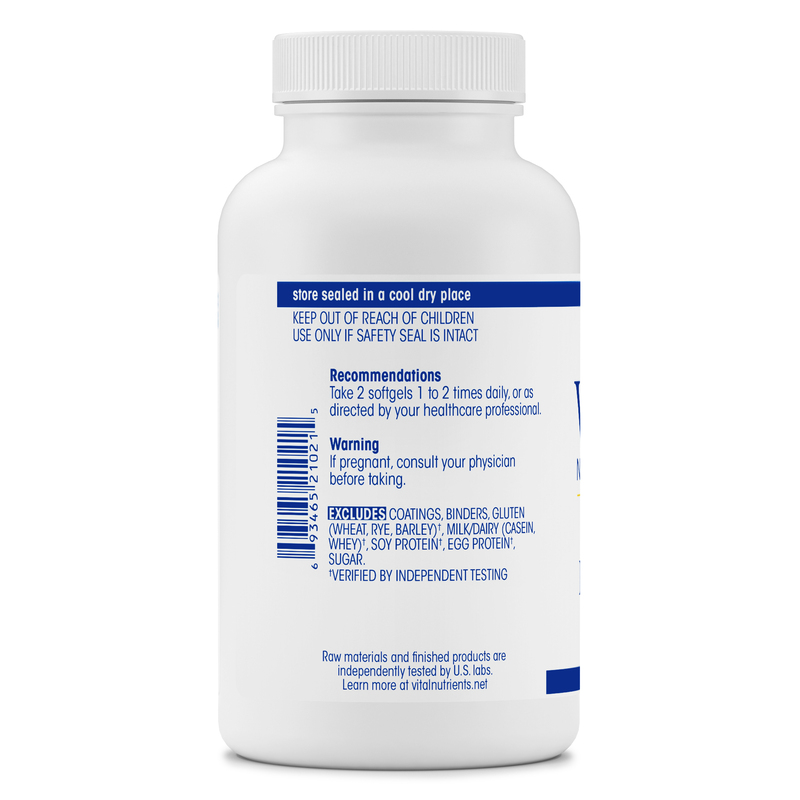 Vital Nutrients is committed to providing the safest supplement possible. This product has been independently tested for potency‚ authenticity‚ stability and bacteria‚ solvent residue‚ heavy metals‚ yeast and mold counts‚ herbicide and pesticide residue‚ aflatoxins‚ and rancidity. Each 250 softgel capsule bottle of Evening Primrose Oil 500 mg - GLA 45 mg by Vital Nutrients has a recommended dosage of 1-2 capsules twice daily‚ or as recommended by a healthcare professional. Cold pressed- extracted without chemicals. Evening Primrose Oil 500 mg -GLA 45 mg by Vital Nutrients is excellent! 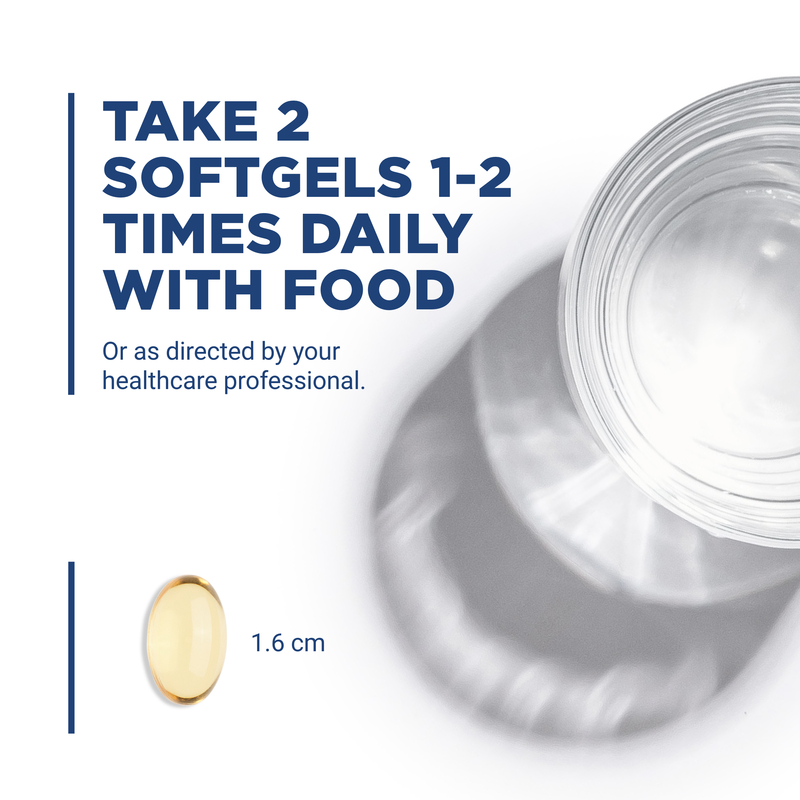 Its a small gel capsule thats easy to swallow.